James L. Woodrow age 88 of Aitkin died Saturday, March 30, 2019 at the Aicota Health Care Center in Aitkin, Minnesota. Jim was born in Aitkin the son of Ernest and Irene (Tool) Woodrow. He grew up and attended schools in Aitkin graduating from the Aitkin High School in 1948. He spent some time in California and returned to Aitkin and married Benita M. Gage on February 10, 1951 in Aitkin. He served in the U.S. Army during the Korean War. Upon his discharge he returned to Aitkin and he and his wife raised their family. He was a part owner at Rasley Oil until 1976. He then owned and operated the Aitkin Sanitary Landfill from 1976 until 1990. He also had drove school bus from 1960 to 1990 when he retired. 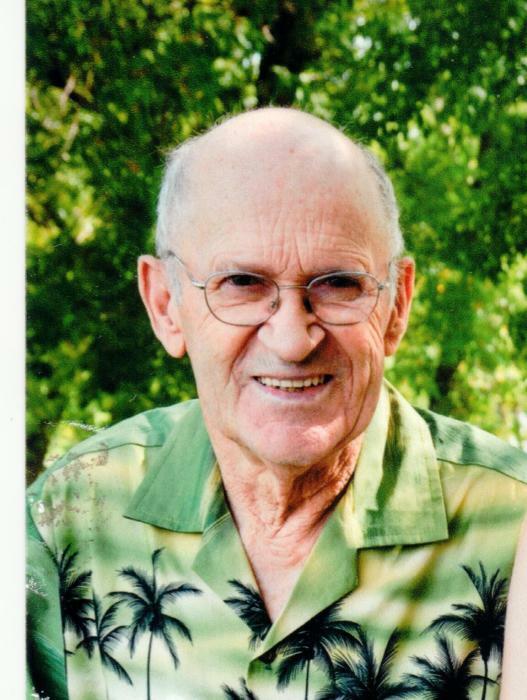 He enjoyed hunting, fishing, was a member of the Gideons and had been very active in the Pine Lake Chapel in his younger years and more recently a member of the Westside Church where he had taught Awana and donated his talents and time to the church. He is survived by 2 sons and daughters in law: Dale and Mary Beth Woodrow of Aitkin, Joe and Joy Woodrow of Detroit Lakes, Mn. ; 2 daughters and son in law: Betty Marx of Fergus Falls, Mn., Patricia and Jed Sherman of Aitkin; 13 grandchildren: Edie Collins, Cory Hensel, Jenny Lorsung, Chuck Woodrow, Tim Woodrow, Michael Woodrow, Liz Woodrow, Heidi Larsen, Emily Sexe, Becky Woodrow, Patricia Piehl, Curtis Woodrow, Keith Woodrow; 17 Great Grandchildren: Isabel Hensel, Faith Hensel, Isaac Hensel, Anthony Hensel, Luke Helgeson, Joeseph Woodrow, Maria Glaum, Sahra Glaum, Janessa Glaum, Stacey Glaum, Henry Woodrow, Hudson Woodrow, Hayla Woodrow, Harrison Woodrow, Julianne Woodrow, Anaya Peterson and Kennedy Smith and also numerous nieces and nephews. He was preceded in death by his parents, wife Benita, 2 brothers and 6 sisters. A celebration of life will be held Saturday, April 6, 2019 at 4 PM from the Journey North Church in Aitkin, Mn. with Rev. Dallas Smith Officiating. Visitation will be 1 hour prior to the service at the church. Military honors will be by the Aitkin American Legion and VFW Posts. Jim was known for wearing two types of clothes; hunter Camouflage or colorful Hawaiian. To honor Jim, the family invites anyone who wishes to wear bright colors or camo to the Celebration of Life. Memorials are preferred to The Gideons International, www.gideons.org. Arrangements are with the Sorensen-Root-Thompson Funeral Home and Cremation Services in Aitkin.